I love mussels and have enjoyed more than one all-you-can-eat mussel bar. They're easy to prepare and only need a good sauce to transcend them from bland to spectacular. This Mouclade with its simple herbal sauce thickened with crème fraîche does just that. But, you must use crème fraîche, the secret ingredient. More common Mouclade recipes contain curry, and this idea is scribbled in the margin of my cookbook for next time. "Purists may frown, but curry powder is an essential ingredient in mouclade, one of the most popular mussel dishes served on the Brittany coast". Mouclade is a specialty dish from the Poitou-Charentes and Bordeaux regions in France. "Tradition has it that the farming of mussels in the Vendée, south of the Loire, dates back to 1237, when an Irish sea captain was shipwrecked on the coast. He managed to swim ashore and set bird traps in the water. The sticks supporting the nets were soon covered with huge moules (mussels), much larger than those growing on the rocks. Even now, mussels are cultivated on stakes in much the same way." The mussels are steamed in a bath of butter, onions, shallots, and wine. After straining the sauce and setting the mussels aside, the sauce is reduced a bit. Then crème fraîche is added along with a sprinkle of thyme. Just like that, you have a one-pot meal that you could easily serve at a fancy dinner party. 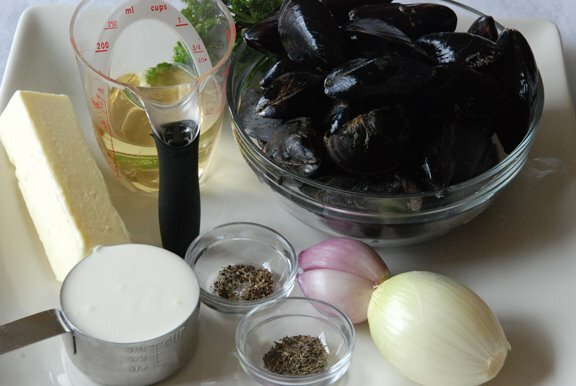 You can find the recipe for Mouclade (Mussels with Wine and Cream Sauce) in the book Le Cordon Bleu at Home. To see how the rest of the Whisk Wednesdays group fared with their recipe, click here (or check out the sidebar) and then click on each blogger! 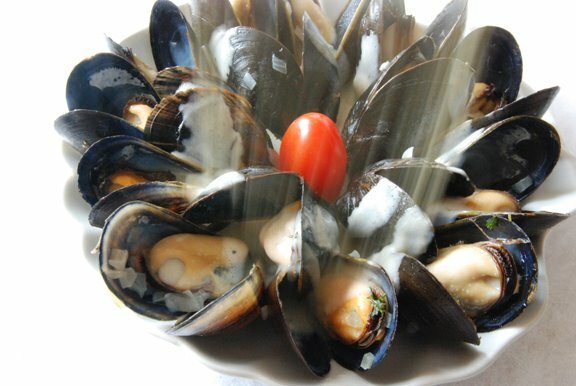 Pull out the mussel with a fork or an empty mussel shell. Scoop up as much sauce as the mussel will hold. 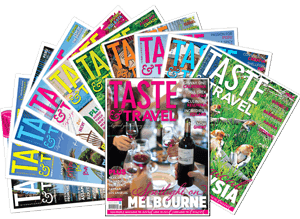 Taste. Repeat. Finish the remaining sauce in your bowl with a fresh slice of baguette. Lick your fingers. Help yourself to another bowl. Oh yes i love this dish! I love mussels, but I've never made mouclade. Can't wait to try it. Your looks delicious! Beautiful dish!!! I absolutely LOVE mussels -- yours look amazing! Shari, that first photo is spectacular! Nice job. Huge fan of creme fraiche but mussels are the one thing that scare me. I screwed up cooking them years ago and can't psychologically get over that. Fine if I order them in a restaurant but put them near me with a pot and I start sweating and feeling like I am going to pass out. Ok tad bit exaggeration. I have to break through this and this sounds great. what I love most about mussels is soaking up the broth left behind with some crusty bread. YUM. Oh my goodness, Shari, these mussels look divine! I love mussels so much, but I've never made them myself. I think this fact must change. I'm going to try to make them; you've inspired me!! Great job. 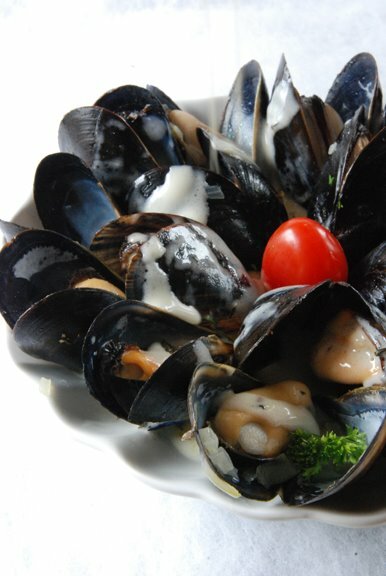 I love mussels, these look absolutely delicious. I have heard that mussel farming is good for the environment, so I am willing to do my part by eating them! I'm also a huge mussel fan. Had not tried this approach, and the addition of curry sounds very appealing. Thanks! Oh, I love the tasting notes...very good recommendations. YUM! Yours look so pretty...like they are on the stage for an academy award! Lights...camera...action! Rinse. Repeat. Yum! These look great. I want them like NOW! Love the tasting notes - get another bowl indeed :) It looks wonderful, and wonderfully simple. Mouclade is my new favorite word. Hmmmm... looks delicious. I've cooked mussels with coconut cream but not with dairy cream. Definitely a must try. And soon too. You know, for some reason, I've never had mussels. They sound delicious. wow that first picture is gorgeous! 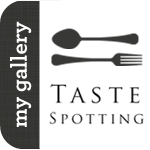 Wow, great blog - really wonderful photos and your food looks so yummy! I'll be visiting again! Thanks for visiting my blog and leaving such nice words. This looks like something my hubby would love. Nice job on the dish and photos too. Sooooooo pretty and scrumptious looking! My hubby loves muscles so we're gonna try this next date nite! Thanks!